The resolution is high enough to observe objects that impact the global economy like shipping containers, but not close enough to view or identify human activity. SkySat-1 also captures some of the highest quality color imagery of any commercial satellite and is capable of sub-meter native color and near-infrared imagery. And most revolutionary, SkySat-1 was built and launched for more than an order of magnitude lower cost than traditional sub-meter imaging satellites. 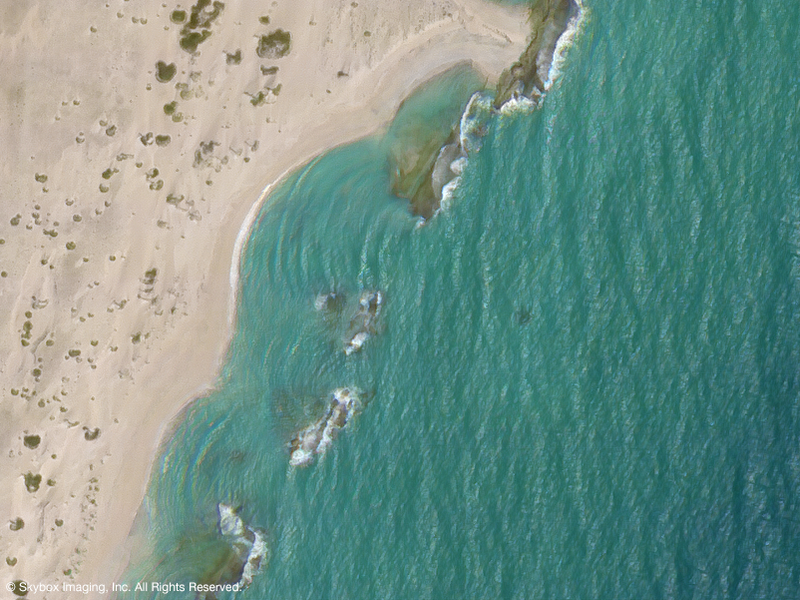 This is an important inflection point showing that high-quality, high-resolution imagery data can be more timely, accessible, and affordable. By merging the Silicon Valley approach with aerospace engineering, we are pioneering a game-changing platform and a new generation of applications for the remote sensing industry and for new markets yet to be realized. With our ability to capture up to 90 second video clips at 30 frames per second, we are now able to gather dynamic information about the world around us at an unprecedented scale. There’s an immense amount of knowledge that we can glean from analyzing movement – supply chain monitoring, maritime awareness, industrial plant activity, environmental monitoring, and humanitarian relief monitoring – and we are excited to explore the breadth of possibilities with this unique data source. 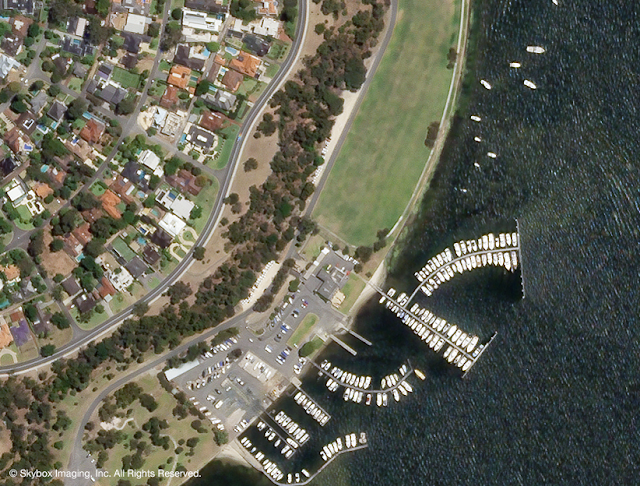 A few weeks ago, we shared the first images from SkySat-1, the first of our planned constellation of 24 satellites. 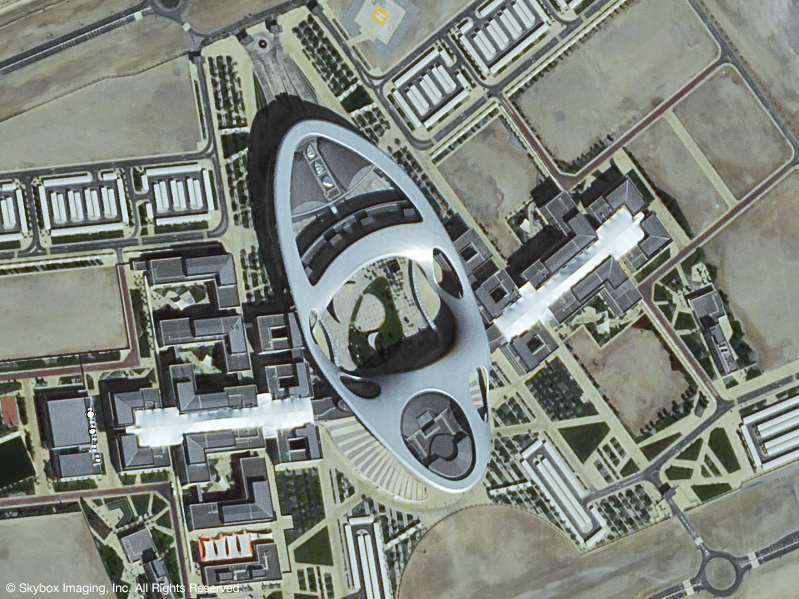 Today, we are excited to share the world’s first commercial, high-resolution, HD video of Earth from space. The following montage showcases several of the first videos captured by SkySat-1 since early December and these videos are untuned and not yet calibrated. In this video, you will see a selection of views including Tokyo, Bangkok, Baltimore, Las Vegas, and Aleppo, Syria. Watch the video in 1080p HD resolution on the following YouTube link. Click on the 1080p HD and full screen toggles to see the video in its full resolution. The following images were taken over Perth, Australia, on December 4, 2013 at 10:25AM (local time) and are untuned and not yet calibrated. As you can see below, features are clearly discernible that validate our goal to provide high-quality, sub-meter imagery: car windshields, varying car colors, road markings, etc. These images exceed our early expectations for quality. SkySat-1 is a high-performance satellite producing sub-meter resolution imagery and high-definition video that was designed and built at our headquarters in Mountain View, California. To our knowledge, SkySat-1 is the smallest satellite ever flown that is capable of capturing imagery at better than 1 meter resolution. SkySat-1 was launched on November 21, 2013 from Yasny, Russia aboard a Dnepr rocket. We made contact with the spacecraft on the first pass and completed bus commissioning within days. Once the payload door was opened, initial images were captured within hours. We are tuning and calibrating the system and are excited to deliver more imagery soon. To watch video footage of the rocket launch, go here. We’ll have more news to share soon. Until then, onwards and upwards! 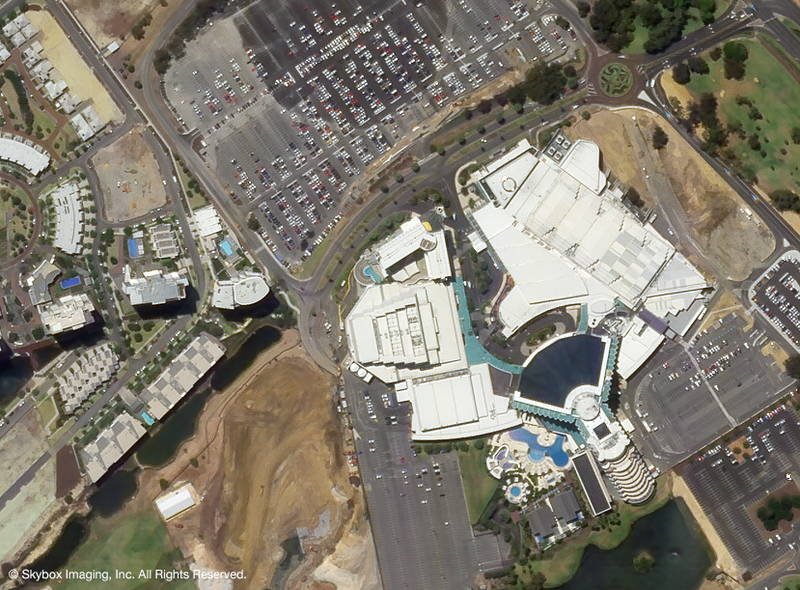 We are excited to share the first images from SkySat-1, the first of our planned constellation of 24 satellites.